More than 500 healthy, quick, easy, and delicious recipes with limited sodium, sugar, and fat—perfect for busy families! What’s for dinner? 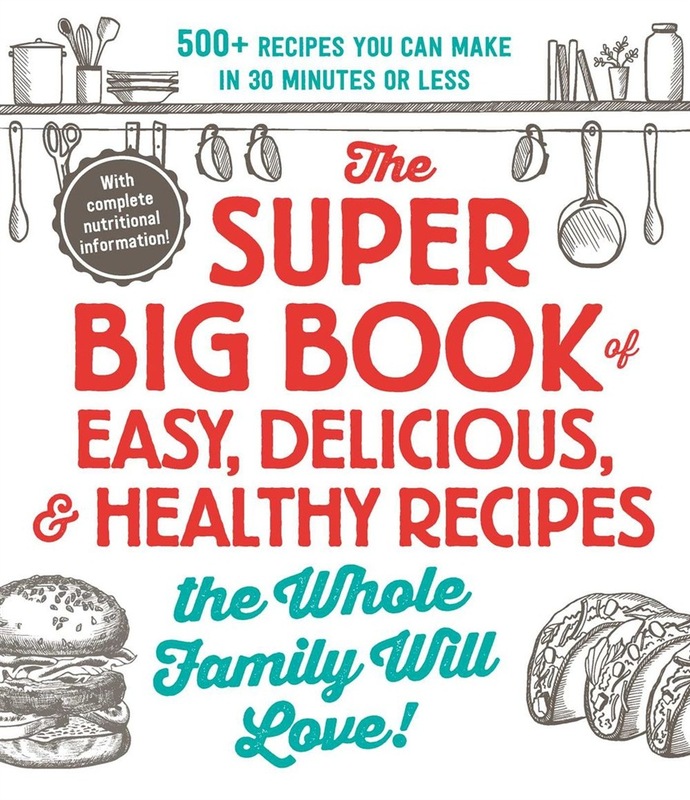 With The Super Big Book of Easy, Delicious, and Healthy Recipes the Whole Family Will Love, the answer to that eternal question has never been easier. In this comprehensive cookbook, you’ll find more than 500 recipes that are quick, easy, healthy and, most importantly, delicious. Each recipe limits sodium, sugar, and fat without sacrificing any flavor, so you can feel good about feeding your family meals they’ll love. Find detailed nutritional statistics along with each recipe, as well as plenty of wholesome meals with minimal prep work, including recipes for slow cookers, casseroles, and one-pot meals that are perfect for your busy schedule. The best part? All meals included are ready in 30 minutes or less! From quick and satisfying breakfasts to fast, flavorful dinners to savory snacks, with The Super Big Book of Easy, Delicious, and Healthy Recipes the Whole Family Will Love, it’s easy to keep your family happy, as well as healthy. Acquista The Super Big Book of Easy, Delicious, & Healthy Recipes the Whole Family Will Love! 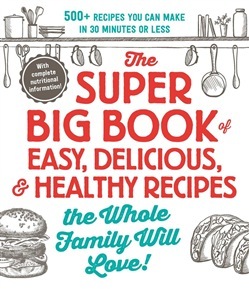 in Epub: dopo aver letto l’ebook The Super Big Book of Easy, Delicious, & Healthy Recipes the Whole Family Will Love! di Adams Media ti invitiamo a lasciarci una Recensione qui sotto: sarà utile agli utenti che non abbiano ancora letto questo libro e che vogliano avere delle opinioni altrui. L’opinione su di un libro è molto soggettiva e per questo leggere eventuali recensioni negative non ci dovrà frenare dall’acquisto, anzi dovrà spingerci ad acquistare il libro in fretta per poter dire la nostra ed eventualmente smentire quanto commentato da altri, contribuendo ad arricchire più possibile i commenti e dare sempre più spunti di confronto al pubblico online.